Every few months I try to change-up what I’m doing for my workout program/schedule. To prevent plateau, its important not to fall into a rut and to add something different to your weekly workouts so your muscles don’t get too used to what you’re doing day after day, become lazy, and not produce the results you’re hoping for. By changing up your routine, you are able to produce muscle confusion, which prevents plateaus and helps your muscles get stronger faster. Thus, helping you achieve the fitness goals you’re striving for quicker. One of the many reasons I love BeachBody workout programs is because the fitness instructors and trainers who design these programs work this principle into their workout schedules. Through the workout programs I have enjoyed by Shaun T., muscle confusion is used to help produce quicker results and prevent plateaus. He is able to do this by changing the focus on how you train each muscle from workout to workout leading to desirable results. I did both of these programs and loved them. 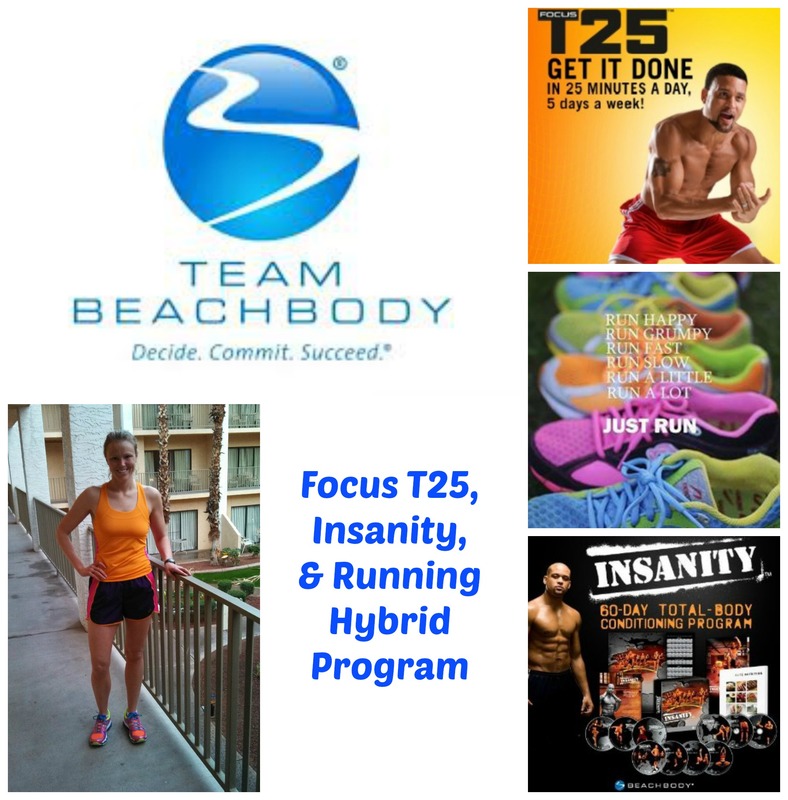 Insanity is a 60 day program and Focus T25 is a 10 week program. Both of them include two workout schedules. The first 4-5 weeks build your foundation before leading you into the last 4-5 weeks which really pick up the intensity. Doing workout programs like these is a great way for me to switch up my usual routine of running and strength training. However, being the running enthusiast that I am, I always start to miss running. When I try to run with the programs its tough to maintain because of the additional time and my body starts to get worn down. Lately, I’ve really been enjoying a hybrid schedule I’ve put together that allows me to run while still getting the benefits from the Insanity and T25 workouts that have made me fall in love with these programs. It’s important for me to be able to still do these workouts along with running because of the strength they have helped me build, particularly in my core. For the first time in my life, I have abdominal muscles, and I give all the credit to these two programs. I also have more definition in my arms and legs than I ever have. Combining these programs with a running schedule that allows me to still run four times a week has been a perfect fit for me. Below I will list the outline of the program that I would recommend following. Under that I will tell you what specific Insanity and T25 programs I do on those days and what distances I have been running. Friday: Rest Day – I always do the T25 Stretch DVD on this day. Love how it makes my legs feel. Saturday: Run – I try to make this a longer run than the other ones throughout the week. This schedule has been great because all days except for one involve just one workout and it still allows me to take one rest day. I like doing the Stretch video from T25 on this day because it feels so good and I need to work on my flexibility. I also think it loosens up my legs for my longer run on Saturday mornings. Obviously, you could tweak this to fit your schedule. Maybe you want your rest day and/or double-up day on a different day of the week. Sometimes if I have time on Thursday, I’ll do the Ab Intervals or Dynamic Core on that day along with my run so all I have to do is run on Sunday. Below are the specific distances and workouts I do on each day. T25 sounds awesome! I hadn’t heard of it until now. I may try it out! I LOVE it! It has been one of my favorite workout programs because of the results I have achieved from such limited time. If you don’t already have a coach, I’d love your business. You can check out the program at http://teambeachbody.com/shop/-/shopping/T25Base?referringRepId=257827 You’d love it! Sounds great! Feel free to email me and I can go into more detail about any questions you have! 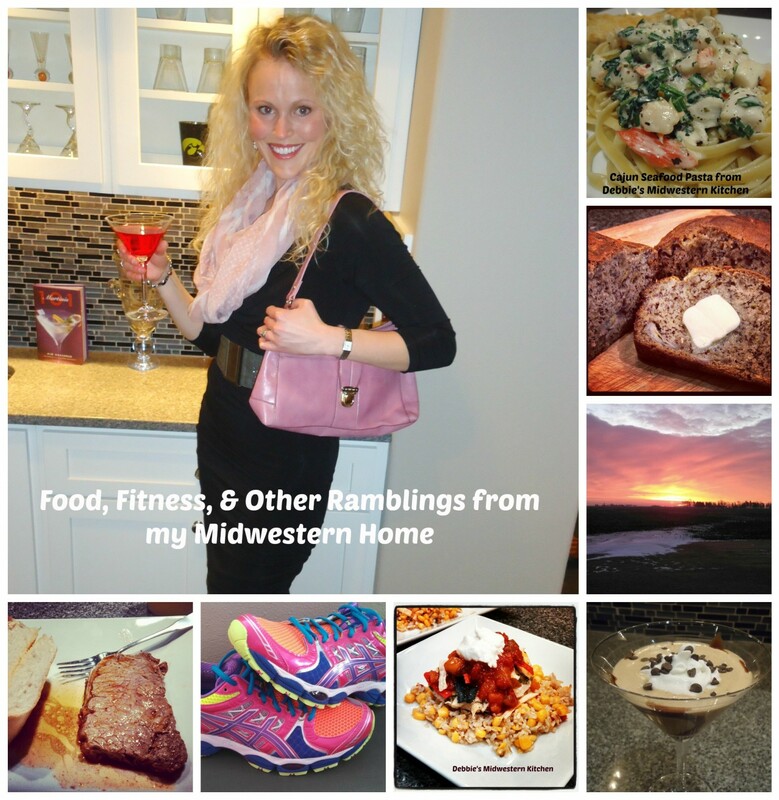 fitnfabfoody@gmail.com Have a great day!